If you are into quality classic Italian design and architecture, then you will love the Estate Villas of Clancy Lane and Bella Clancy in Rancho Mirage. Designed and built by John Wessman and Mario Gonzales’s new home building partnership in the Coachella Valley, this extremely beautiful residential development offers all the amenities and features one could ever expect for truly gracious and elegant living. This gated community is one of the most beautiful planned residential developments the West has to offer. 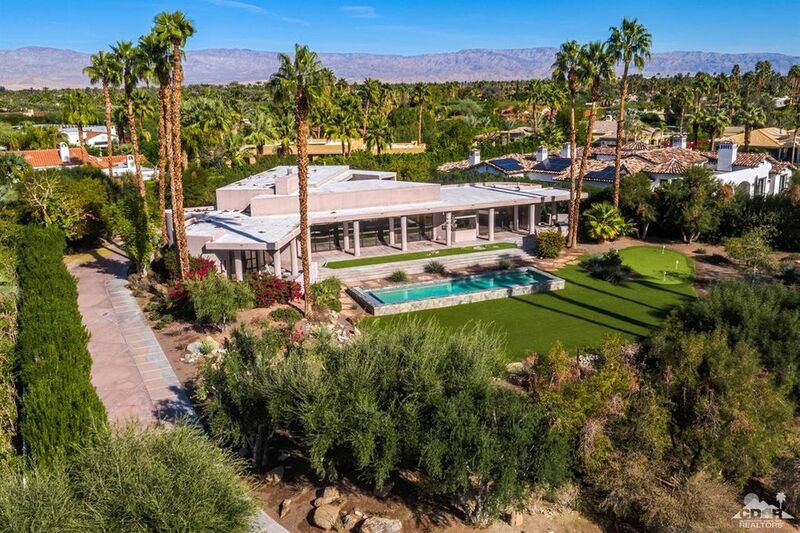 Clancy Lane and Bella Clancy are located within the legendary Coachella Valley in Rancho Mirage, California, and is convenient to luxury shopping, fine dining and entertainment. Wessman/Gonzales has used their 70 years of craftsmanship and experience to develop a most attractive and authentic Tuscan Village right here in California. Wessman/Gonzales knows the desert market better than any other developer designer and it shows in this well planned out, sturdily crafted neighborhood. The surroundings of the 20 estate villas of Bella Clancy include cobblestone roads, natural stone pavers in every driveway, courtyard, backyard and pathway. The general feeling of the entire community is one of European tradition accented with modern convenience. You will truly feel like you are living in a Tuscan Village in Italy. The beauty and charm of the design and craftsmanship is breath taking. Breathtaking is a good way to describe the Villas of Bella Clancy themselves. There are six different Tuscan exteriors to choose from, each offering gorgeous brick and stone treatments highlighting the artistry and splendor of Italian design. The yards are exquisite with water features including Italian fountain on the main bath patios. Each villa comes with a custom pool and spa. The landscaping of each residence reflects the quality and custom design of the complex as a whole. Both front and rear landscaping is included. Inside each Villa you will find truly decadent decors featuring high relief artisan door frames, wrought iron light fixtures, and wood beam ceilings. All countertops and flooring are custom crafted out of natural stone. There is a state of the art entertainment center included with each Villa and custom built media centers in each great room. All kitchen appliances are the latest in Sub-Zero Wolf and also included is a deluxe Asko dishwasher. Truly nothing has been overlooked in creating the ultimate in luxury living. Choose from 4,536 to 5,150 square feet of sheer luxury. Pricing for these exquisitely appointed Tuscan Villas of Bella Clancy begin in the mid $2,000,000’s. If you would like to see Homes For Sale at Clancy Lane or Bella Clancy or Rancho Mirage Real Estate please call us at the numbers below. Were committed to helping you find the home of your dreams.